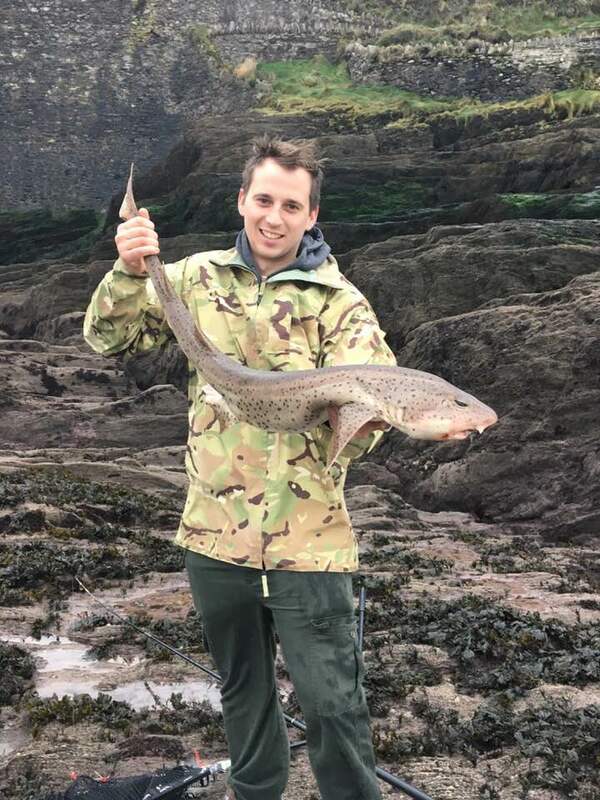 A fellow Combe Martin Sea Angling Club member contacted me recently asking me to write a few words about grey mullet and why they should be given more respect. 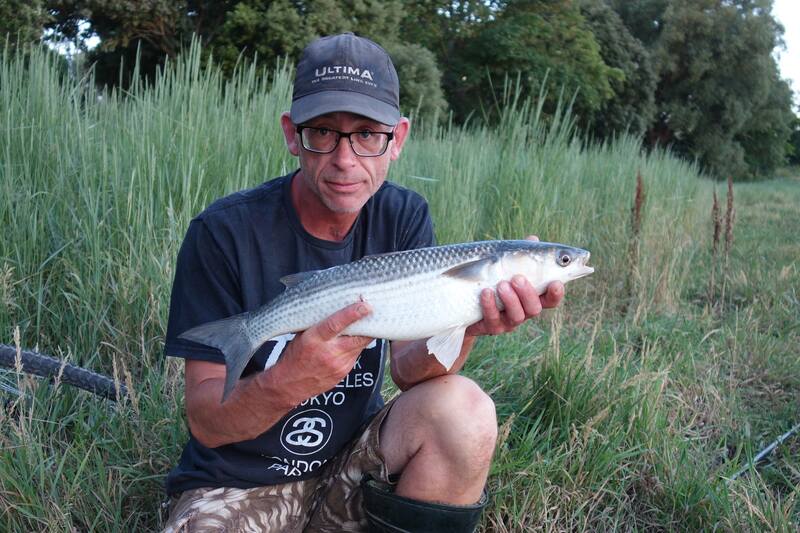 I have put a link below to the National Mullet Clubs page that gives plenty of scientific data explaining why the grey mullet is so vulnerable so I suggest you read through that after reading my personal comment. 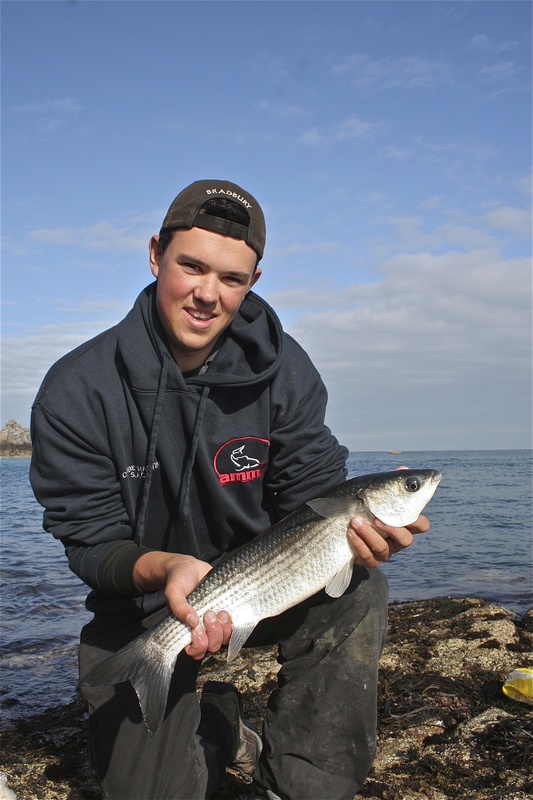 I started fishing for grey mullet during the early 1970’s whilst on holiday with my parents in Looe on the South Cornish coast. 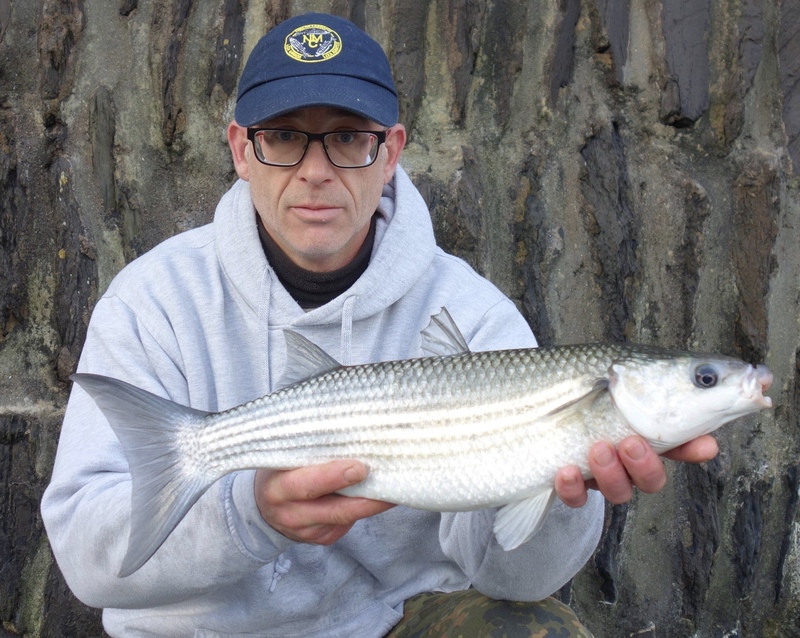 As a teenager who also coarse fished I found the grey mullet that haunted the harbour a great challenge and relished the hard fight they gave on the light tackle used. 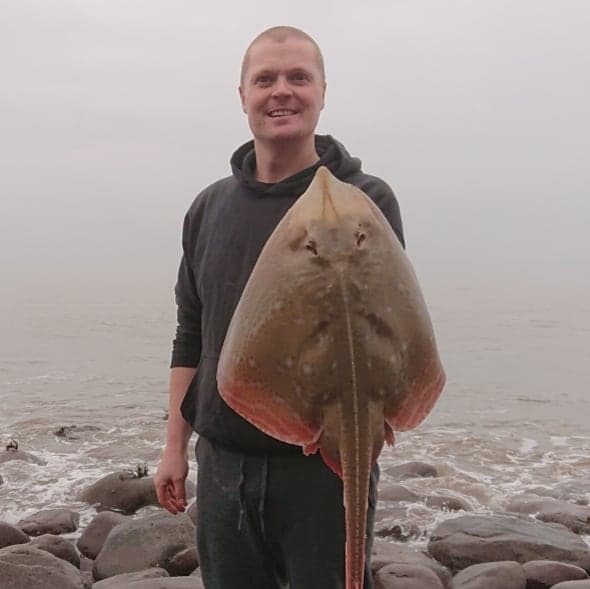 When I returned home to Combe Martin I was amongst a small number of anglers who targeted the species from many marks around Combe Martin landing numerous fish to over 4lb. Even back then I only kept the occasional fish for the table as fresh mullet from the sea do make good eating. I am ashamed to admit that I also killed fish to weigh in at competitions something I have not done now for at least ten years. 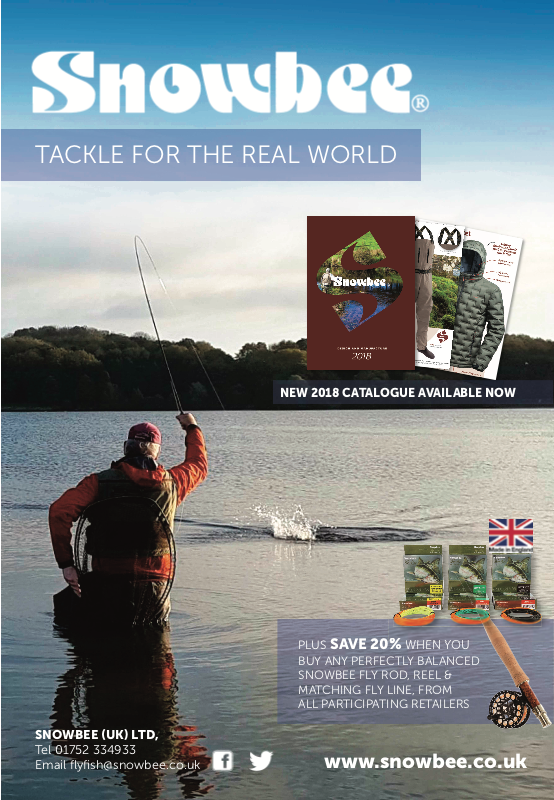 Whilst I believe anglers should have the right to take the occasional fish for the table I no longer do so. 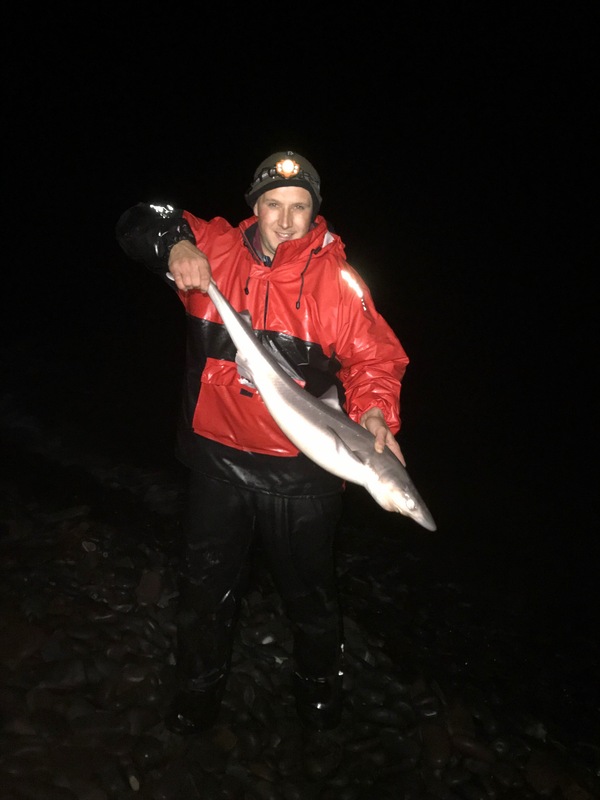 I value the fact that mullet provide exciting sport and whilst they can be very frustrating to catch at times they are also one of the most satisfying fish to catch. I have seen a dramatic decline in numbers of mullet in some areas and know that the fish are very vulnerable to overfishing. I visited Alderney in the Channel Islands on several occasions when mullet where prolific and grew to a large size. 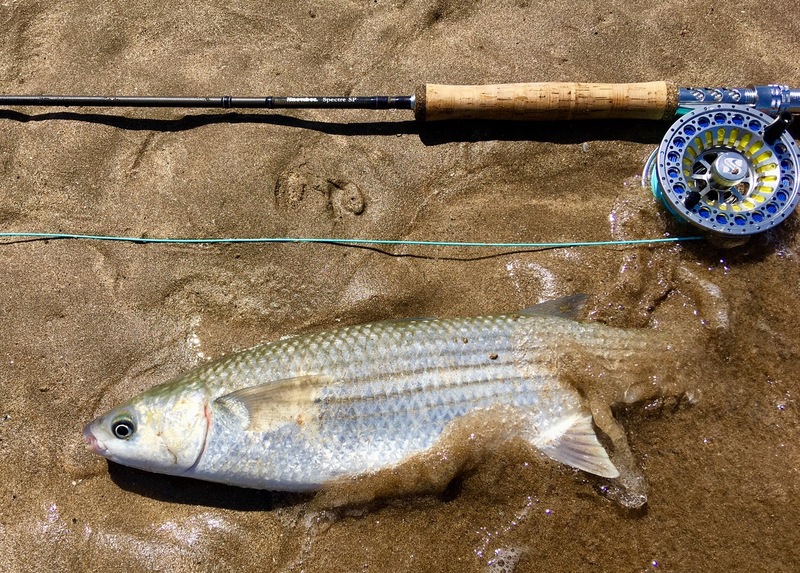 From what I hear there has been a dramatic decline on this Island and on the nearby Island of Sark that we fished over several seasons catching several specimen mullet and glimpsing fish far larger. In the past grey mullet were often overlooked by commercial fishing but dwindling stocks of other species due to overfishing has increased interest in these fish. 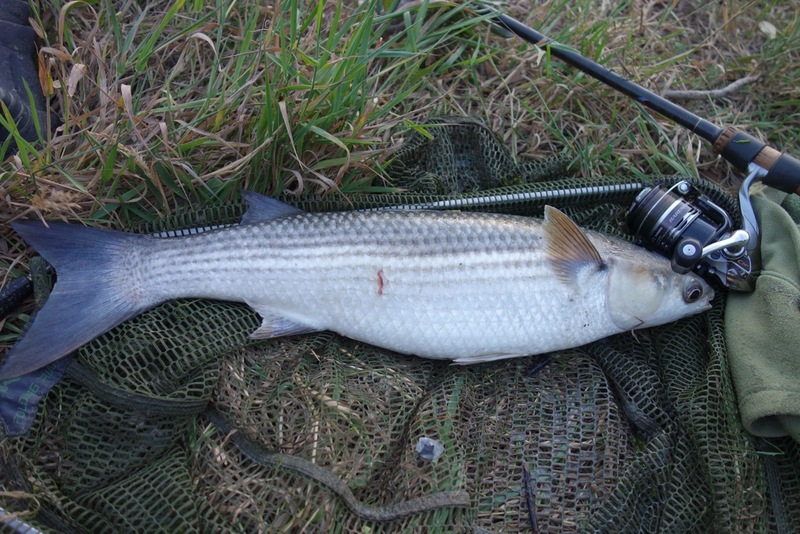 Grey mullet are very slow growing fish not maturing to breeding size until close to ten years old. The fish also return to the same haunts year on year making them extremely vulnerable. If you value the sport that mullet provide then please return them carefully to the water. If you don’t value them don’t fish for them. I have memory’s of sad days in the past when I witnessed the despicable act of snatching mullet using large treble hooks. To see these fine sporting fish impaled on hooks dripping blood was a sad sight and gave genuine anglers a bad name. When fishing for mullet handle the fish with care. 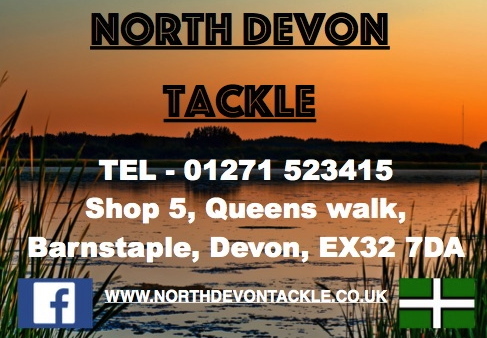 Unhook carefully use a weigh sling or plastic bag to weigh the fish and don’t let the fish flap about on the rocks where they can dislodge scales increasing the risk of infection. Mullet aggregate to spawn in areas that make them very easy to find and exploit. Grey mullet have a very slow growth rate and mature at a relatively old age. A proportion of the mullet population may only spawn every two years. 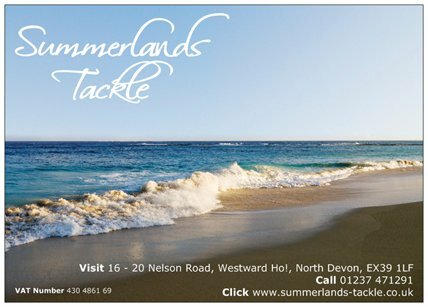 They are very easy to net in harbours and estuaries especially with monofilament gill nets. They have high site fidelity resulting in fished-out areas being slow to recover. Minimum landing sizes are either non-existent or inadequate. targeted as a means to justify a high bycatch of bass. The available data on the populations of the three native UK grey mullet species (Chelon labrosus, Liza aurata and L. ramada) is limited compared with that for more southerly populations (which tend to be faster growing and earlier maturation). However, enough is known to conclude that their slow growth and late maturation will not support high levels of commercial activity, as is evident from the large decline in catches, both commercial and recreational, and other evidence. Tulkani (2017) argues that there are no quotas set and there are no management plans currently in force to regulate either fishery. Clearly future research work should focus on providing the biological data required for the development of sustainable exploitation plans. 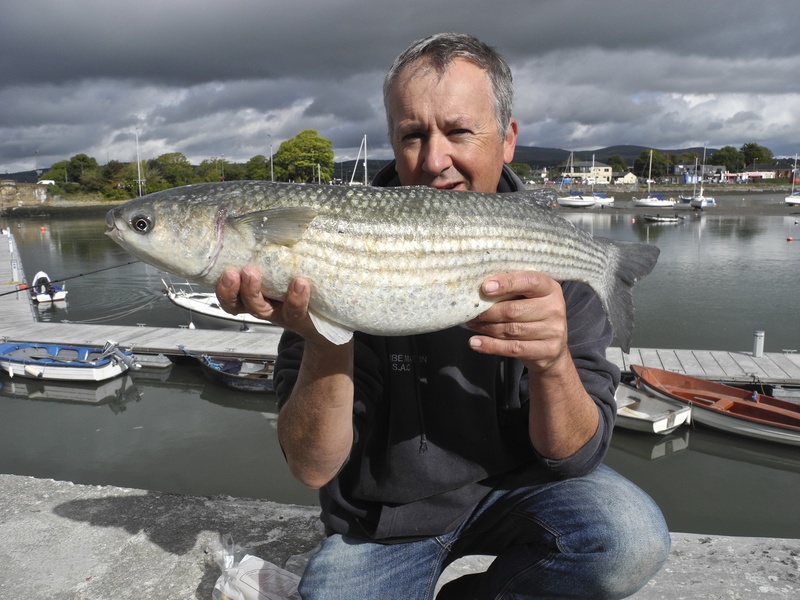 As research takes time, which grey mullet arguably have not got, then the precautionary principle should be that rigorous measures are taken now to severely curtail, if not eliminate, commercial activity. We at the NMC believe these are special fish. 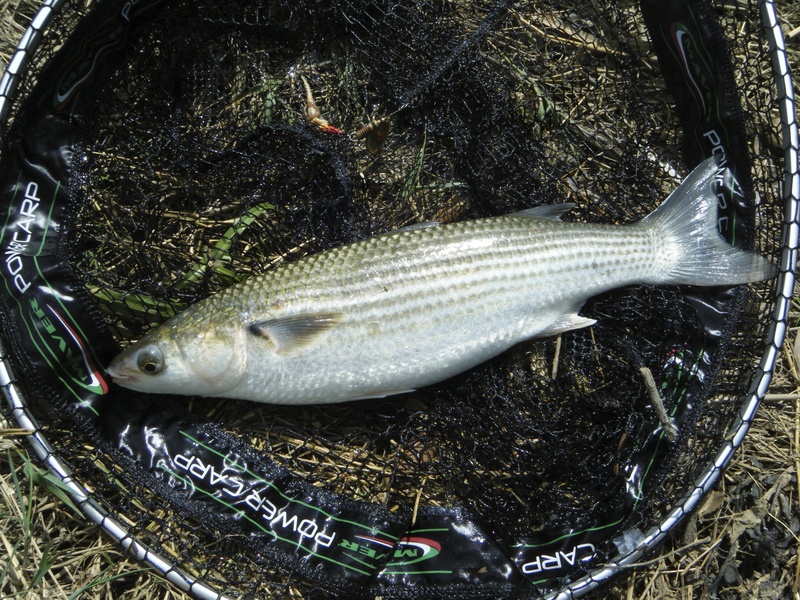 As a recreational species they are enigmatic, a challenge worthy of any angler’s attention and fully deserving their reputation as the ‘British bonefish’. Mullet take over ten years to mature, live over twenty-five years, and migrate hundreds even thousands of miles returning to their previous haunts year after year. Their lifecycle makes them extremely vulnerable to overfishing; evidence shows this is already happening as commercial and recreational landings shrink as commercial effort increases. 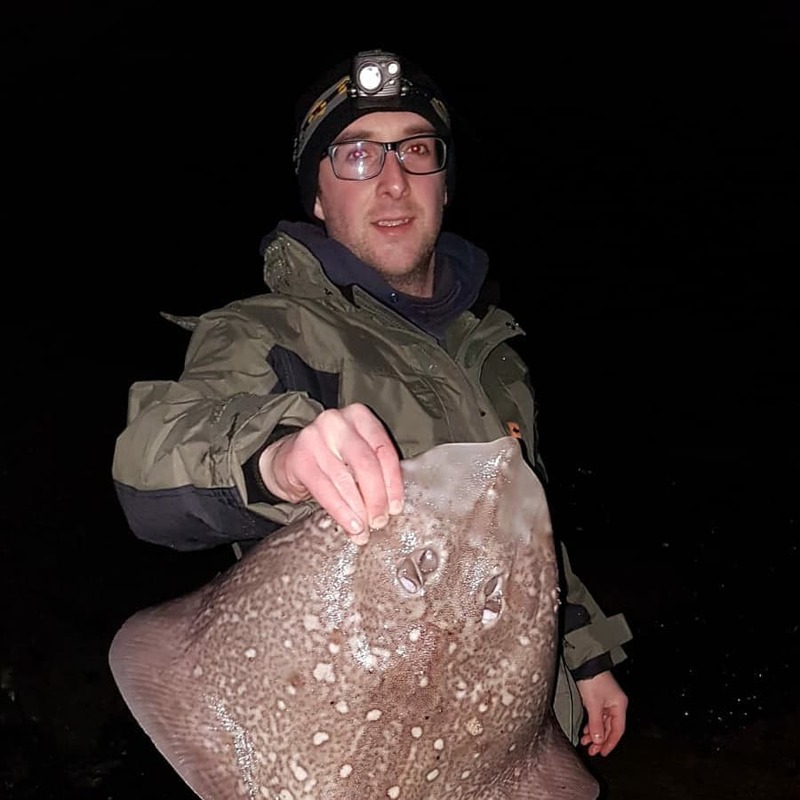 Combe Martin Sea Angling Clubs Six Hour Rover saw ten members venture out onto North Devon’s coast line as a brisk west North West breeze blew up the Bristol Channel. 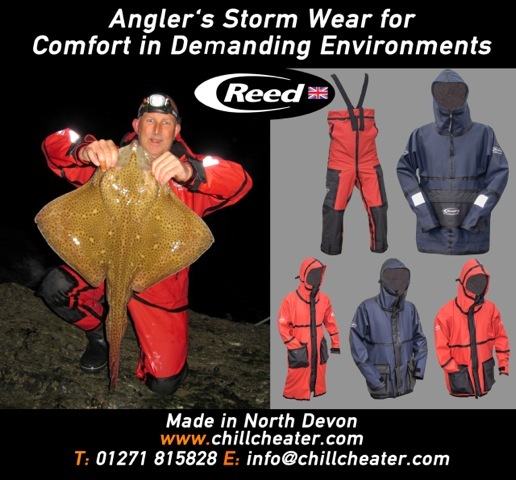 Fishing has not been easy over recent weeks with the water clear after a period of calm weather. 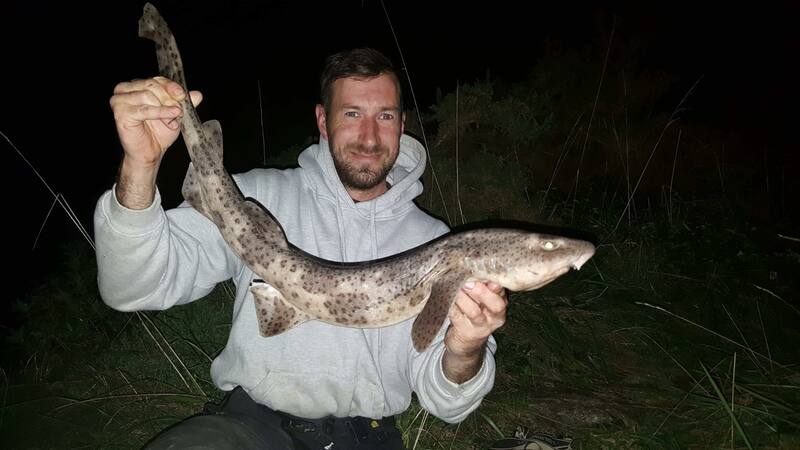 Dogfish and small conger have been abundant all along the coastline with just the occasional better fish showing. 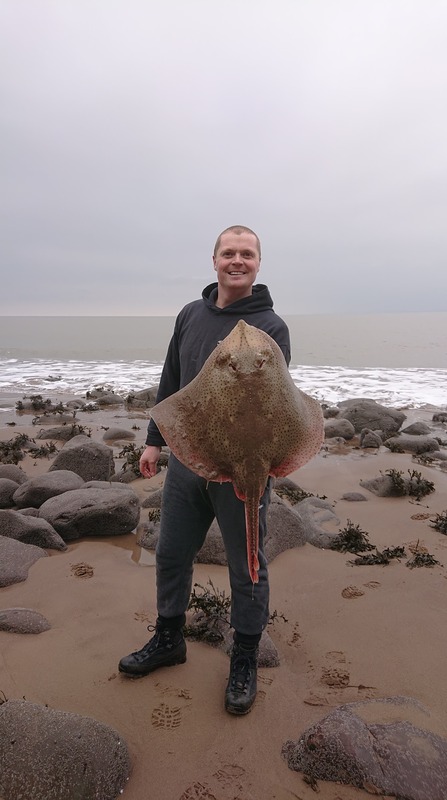 A short competition like this is useful in pulling together a group of anglers fishing an area of the coast and seeing what results. 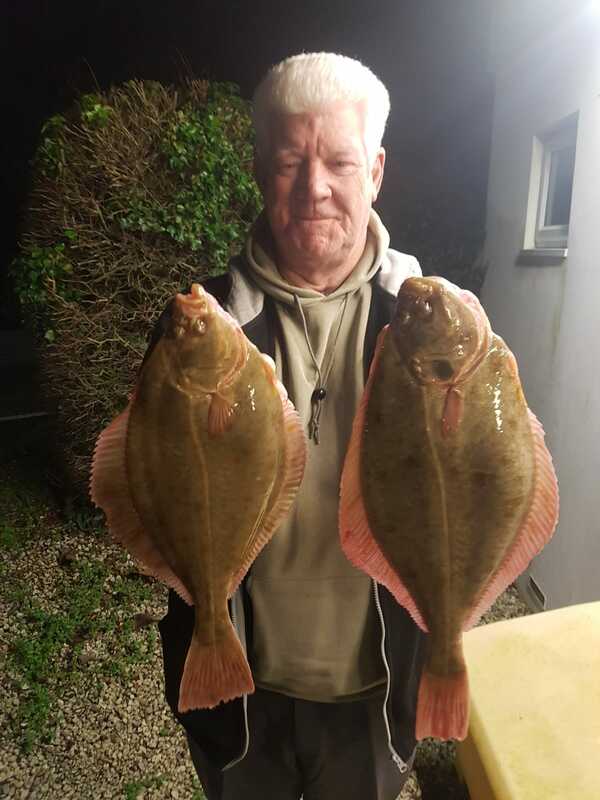 Kevin Legge secured the top two places in the competition with fish that were only moderate specimens to Kevin who sets the bar high in his constant quest for specimen fish. 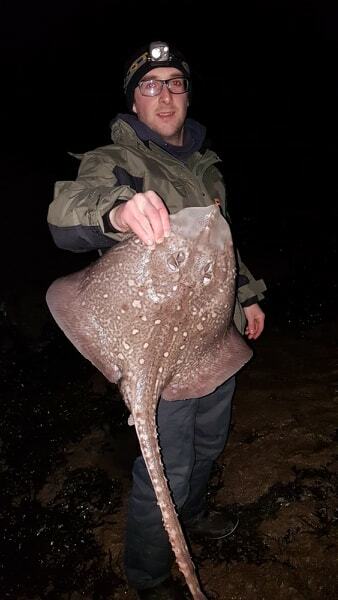 A dogfish of 2lb 5oz and a bull huss of 7lb 1oz were enough to take the money. 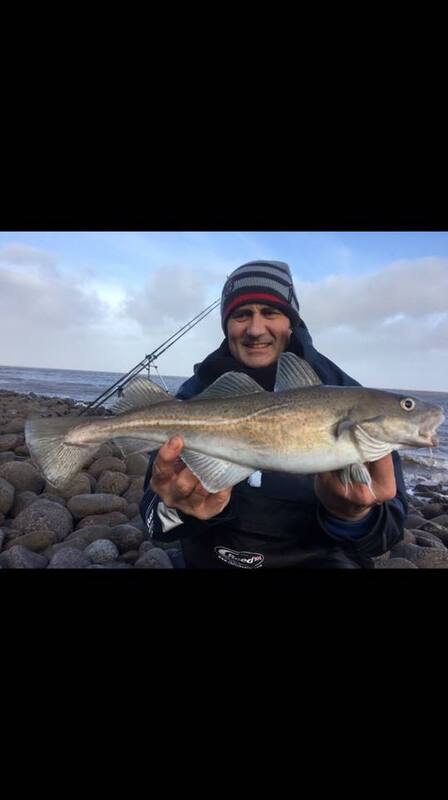 Ross Stanway caught a pleasing rockling of 1lb 31/2oz for third and Mark Tossell a good whiting of 151/2oz. 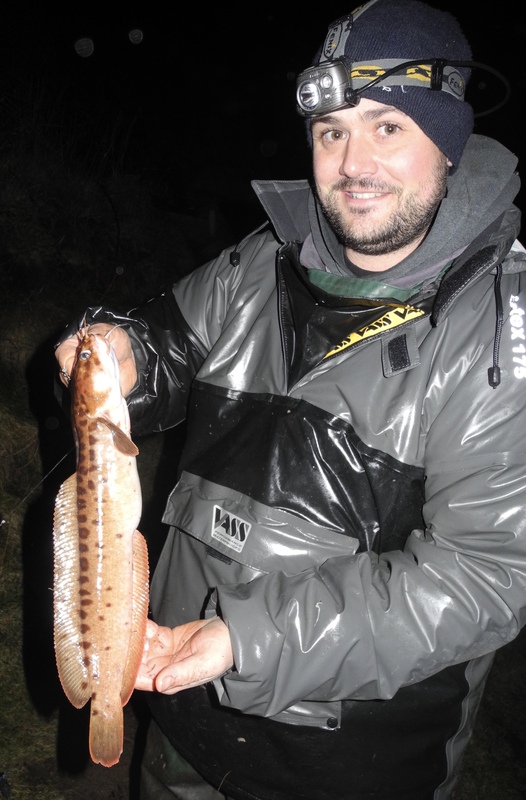 Combe Martin SAC member John Shapland is a very keen mullet angler and targets the species all year round. 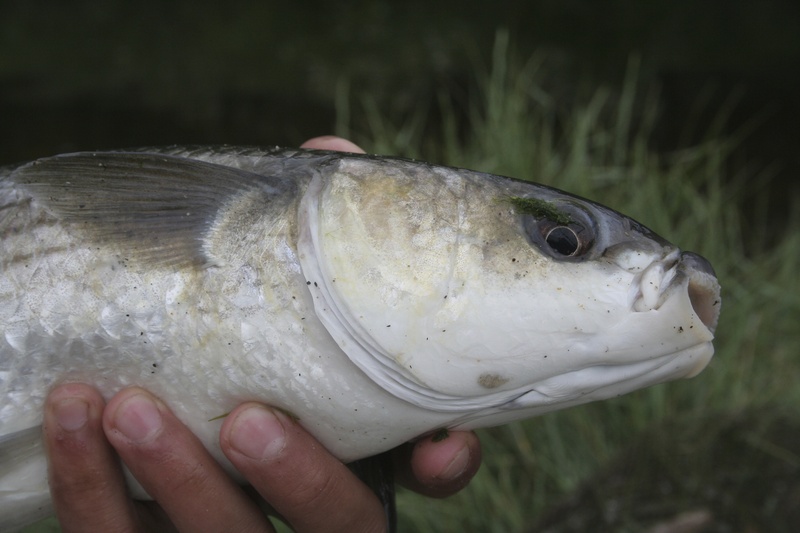 The mullet was once considered a fish of the summer months but recent years have seen the species caught in every month of the year. 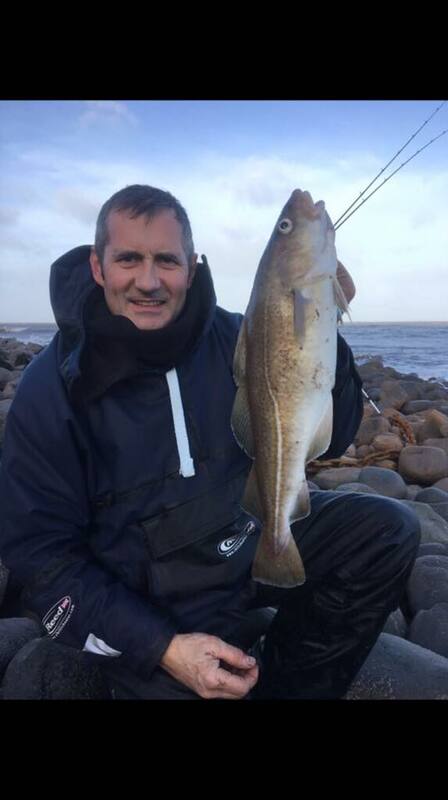 Johns latest catch is exceptional for January catching five over three pounds in two days fishing. The fish weighed 3lb 8oz, 3lb 8.5oz, 3lb 9oz, 3lb 10oz and 4lb 4oz. 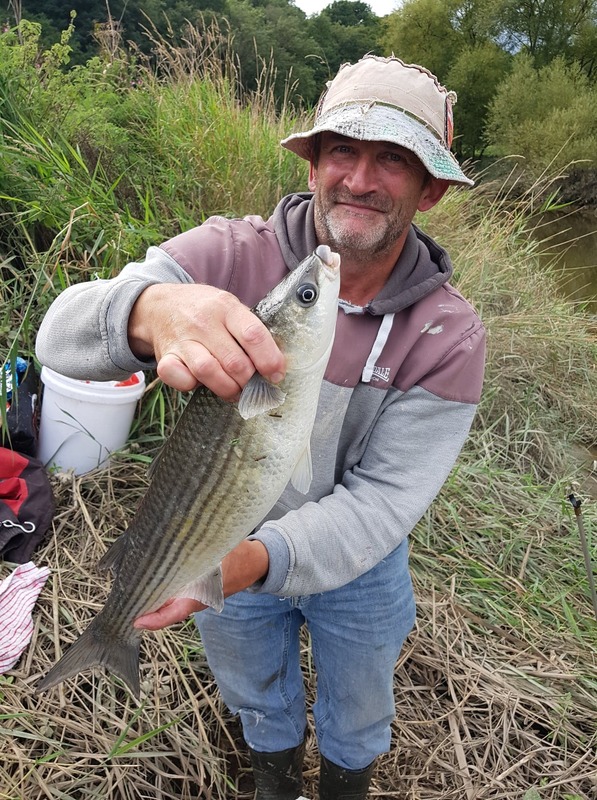 Stephen Found secured first and second in Bideford Angling Clubs Des Clements Memorial Competition with a fine brace of thick lipped mullet scaling 4lb 9oz and 3lb 12oz. 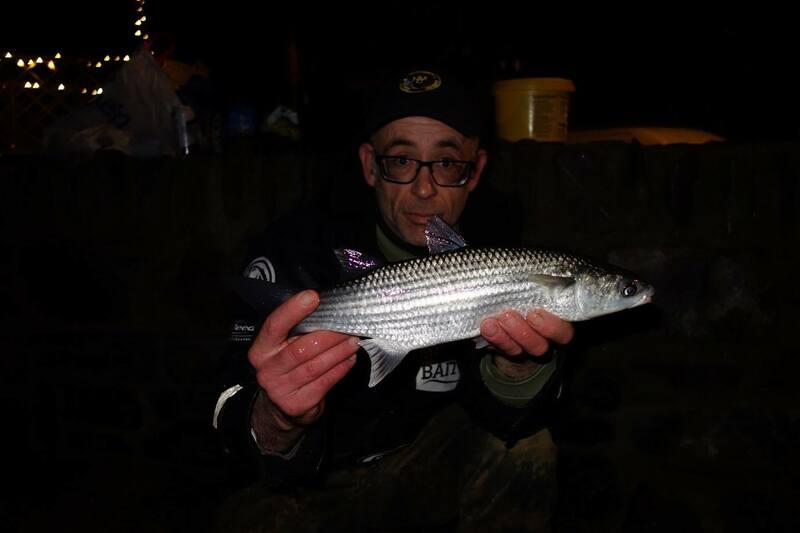 Graham Snow took third with a thick lipped mullet of 2lb 14oz. 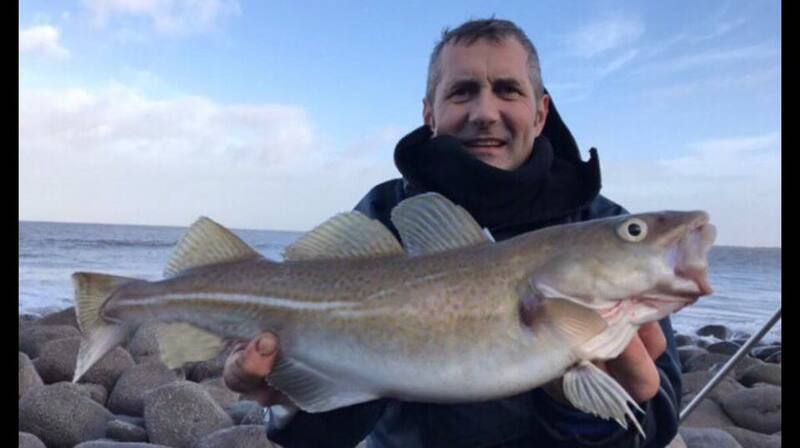 John Shapland landed this fine thick lip of 4lb 4oz on a recent trip. 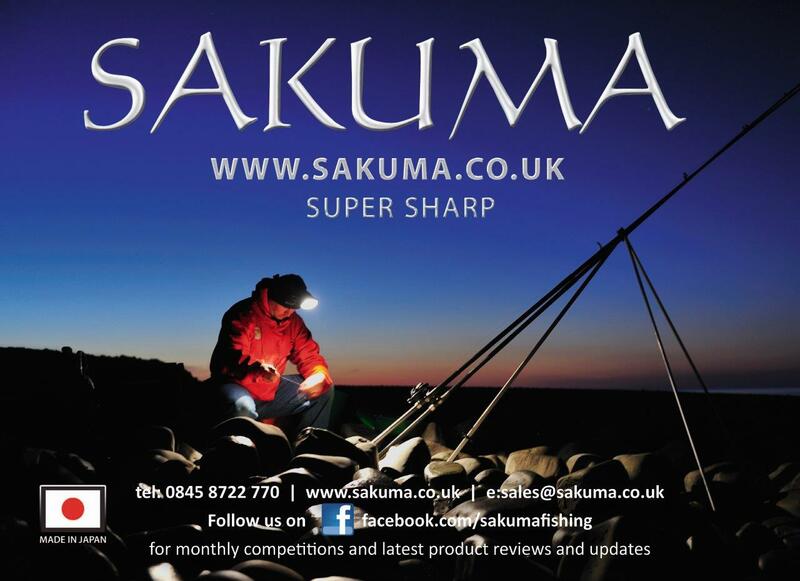 The next couple of months are without doubt my favourite time to get out fishing with a wealth of fish to target. Bass and mullet have to be close top of the wanted list and reports would indicate that there are a few about. 2 BITES TODAY!!! Johns exciting report. 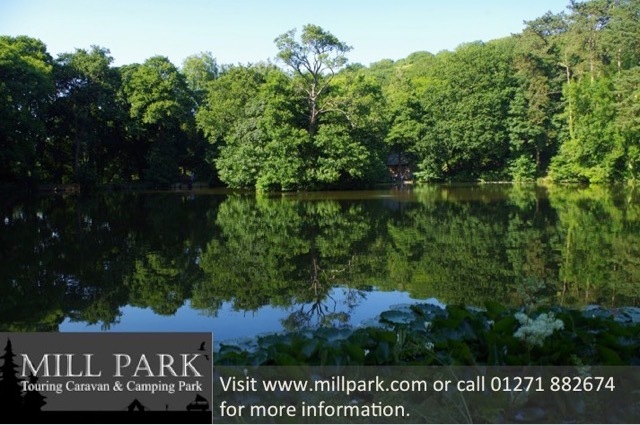 Rob Scoines enjoyed a session at a local rock mark ctaching several bass to 4lb 2oz and a small bull huss. 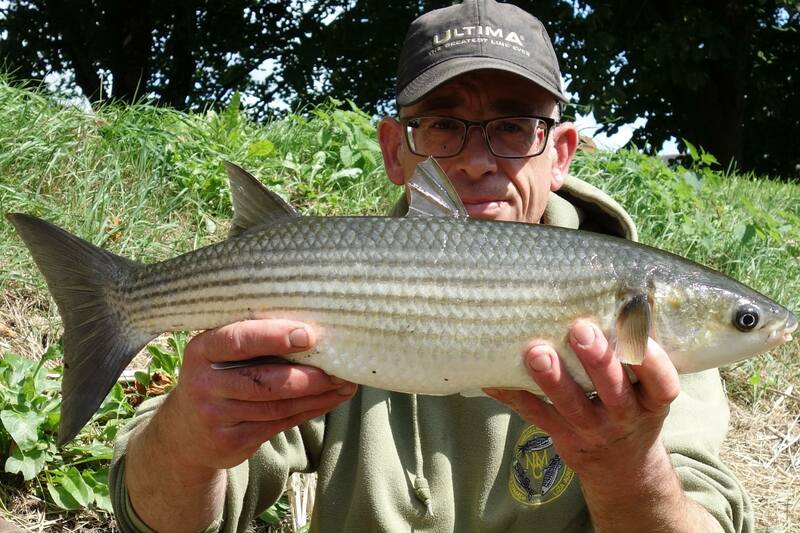 John Shapland caught this stunning thick lipped grey mullet of 4lb 1oz after enduring several blank trips. 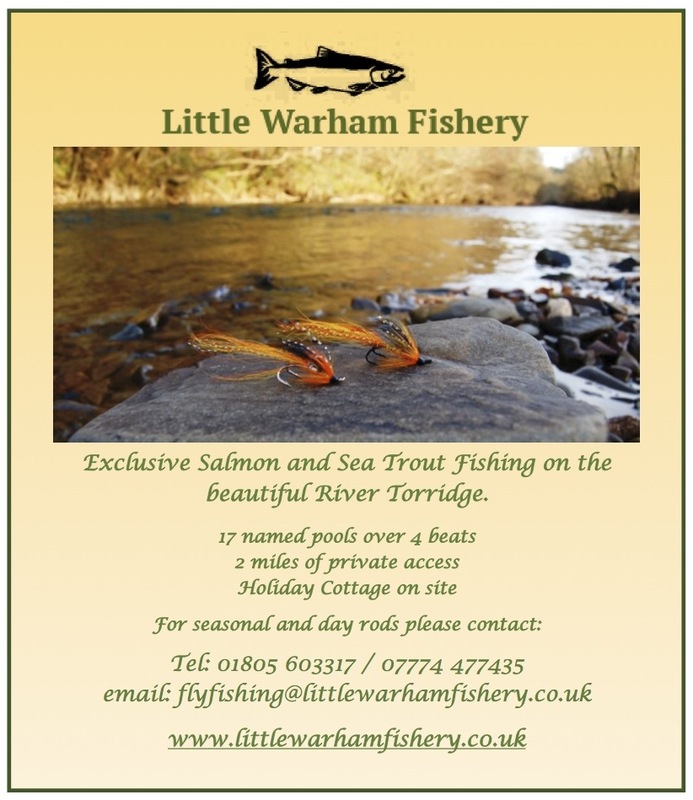 These hard fighting fish can provide exciting sport and the next three months are the best time to target them. 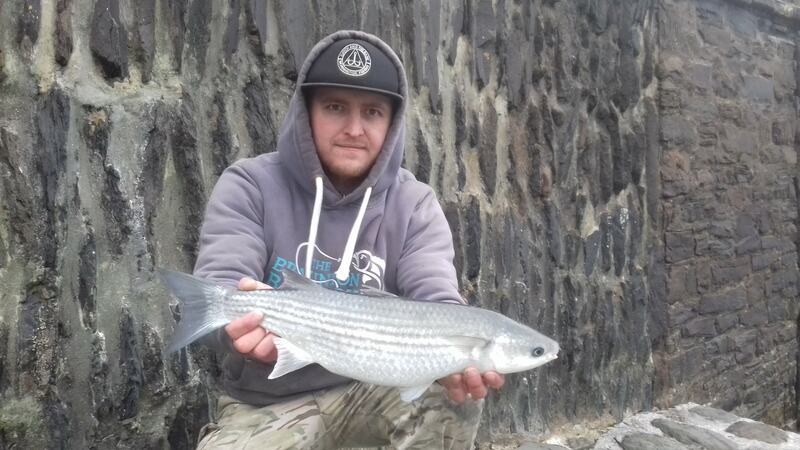 Thin lipped grey mullet are giving some superb sport in the Taw and Torridge Estuary with good numbers of mullet tempted on baited Mepp’s style spinners. 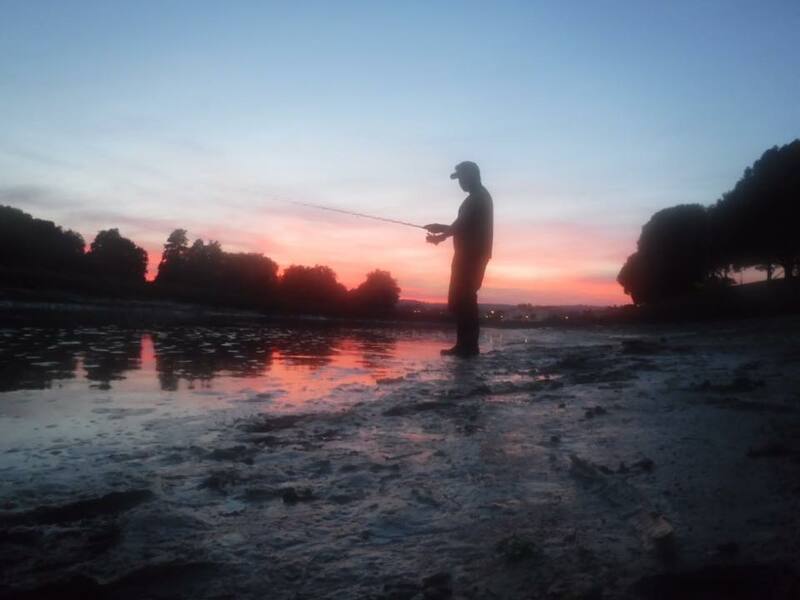 There is speculation that the recent ban on netting in the estuary has resulted in an upsurge in catches. The settled weather conditions have also played a part I would imagine. John Shapland has banked three thin lipps over four pound in the past month. 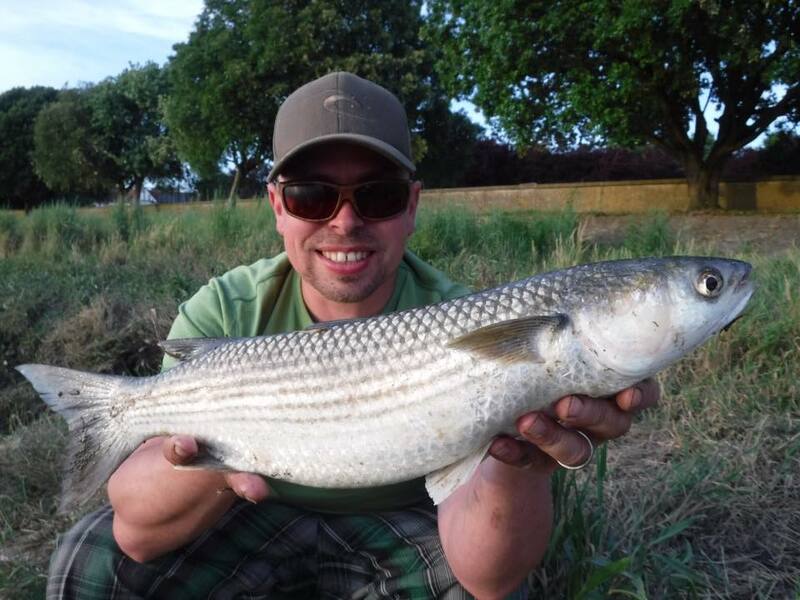 (Below) Dan Welch also enjoyed success spinning for mullet landing several during a session with CMSAC member Ross Stanway. Catch a Mullet on a fly! 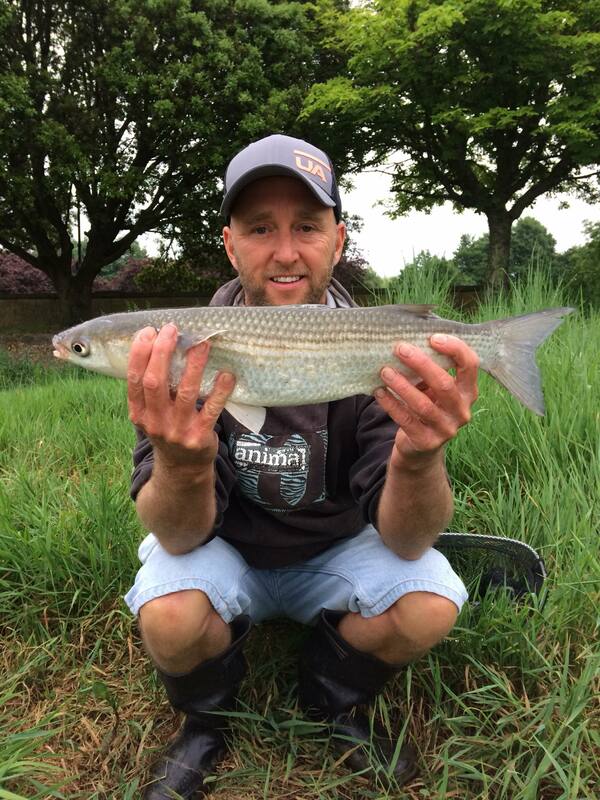 Grey Mullet are a challenge especially so on the Fly. 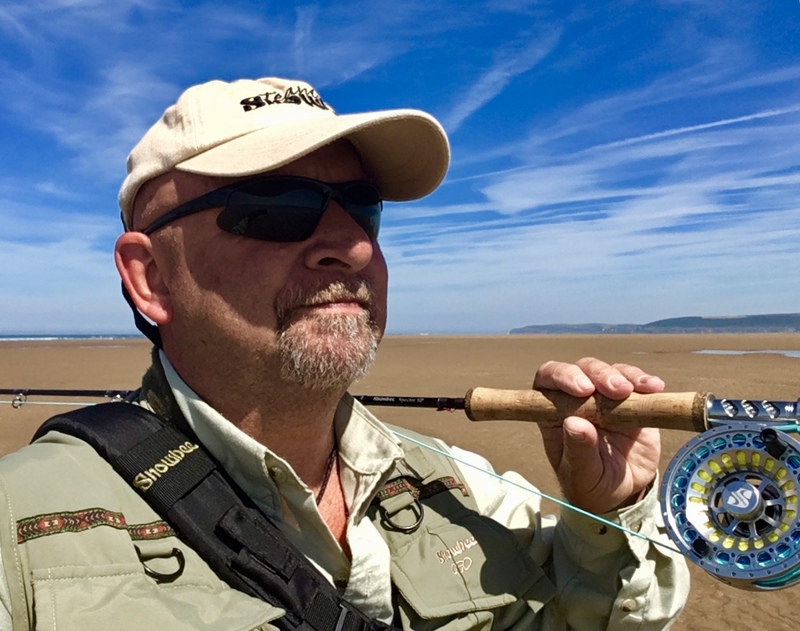 Jeff Pearce shares his success with the bonefish of Britain. Like many I imagine, I have caught Mullet on a float rig with ground baited bread since a child, as well as a few on a baited spoon. More recently perhaps over the past 10 years or so I have started fly fishing for bass. 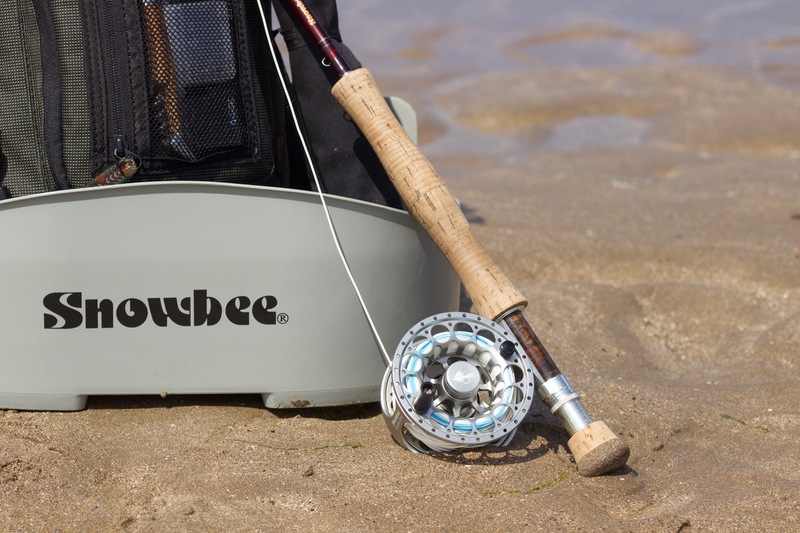 Transferring my 40 years of fly fishing experience to bass was relatively straight forward as long as I found the right location, not too difficult as I have been lure & bait fishing for them from shore and boat all of my life. So two seasons ago I decided having seen Mullet at every bass venue I fish that they should be a target, armed with every blog on the subject and suitably tied Mullet flies I set out catch them, how difficult can it be to catch a Mullet on a fly! research more walking the river and beaches. Find them on the feed and you’ll be in, so the story goes, not so easy, searched everywhere for genuinely feeding Mullet. 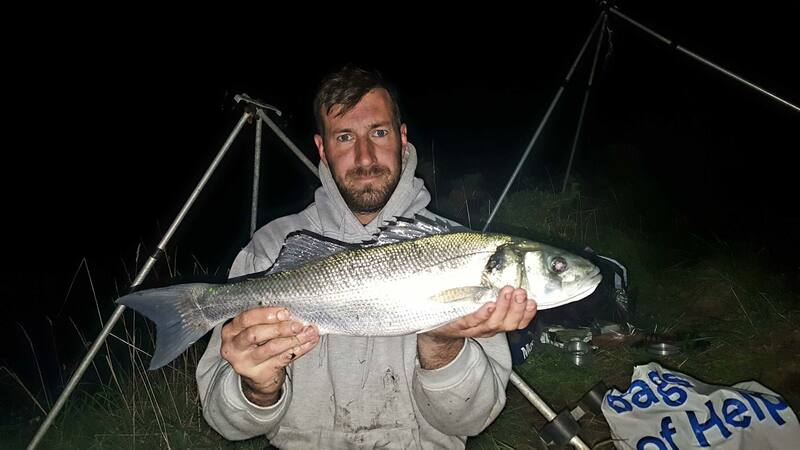 Anyway, perseverance has paid off, I think I have cracked it, resulting in my first Mullet this season genuinely taken while fishing for Mullet as they fed on the beach with the incoming tide. I had been watching the tides, weather and wind for days, I needed a reasonably good low tide to springs, an offshore breeze and nice weather, bingo the last two weeks have been good on more than one day. 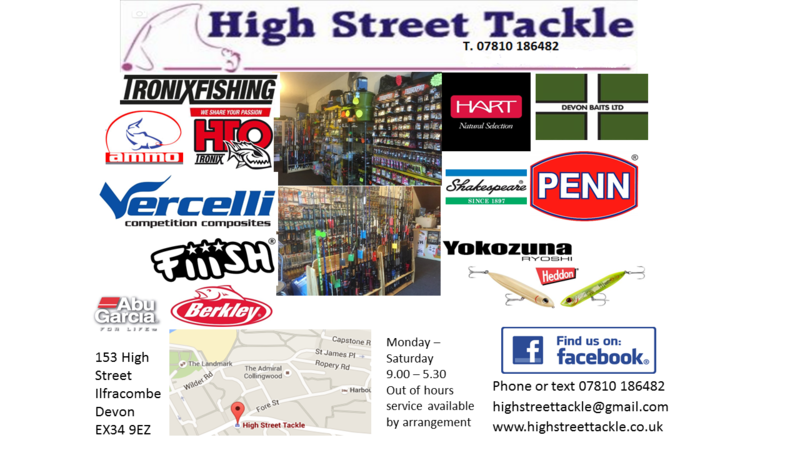 I set out very optimistic as always when I go fishing, on the way its which fly shall I try, how many in the team, what combinations etc. I arrive at the beach, its glorious, sun is high in the sky although its relatively early and what a bonus, the carpark attendant isn’t ready so free parking it is. 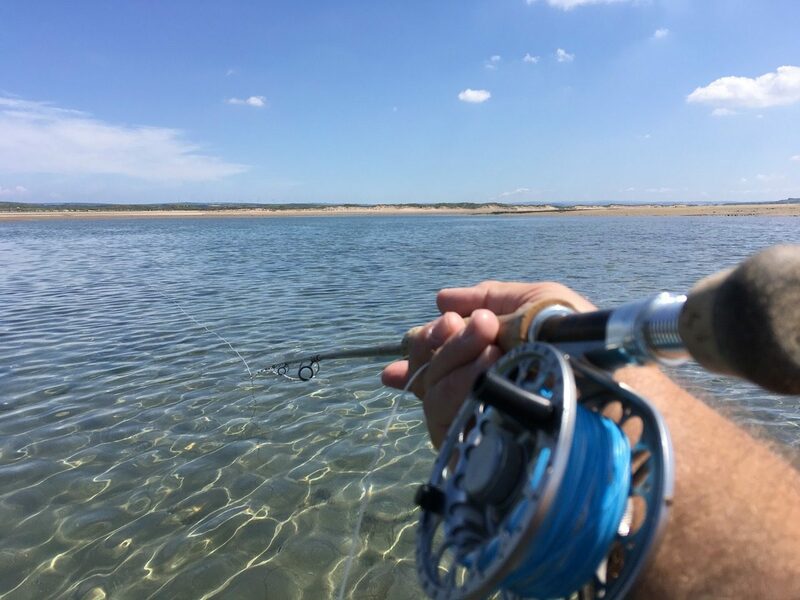 they don’t take a fly unless they are feeding Im going to try anyway, irresistible to see fish up to 6Lb plus cruising flashing and jumping in the shallows just off the surf. 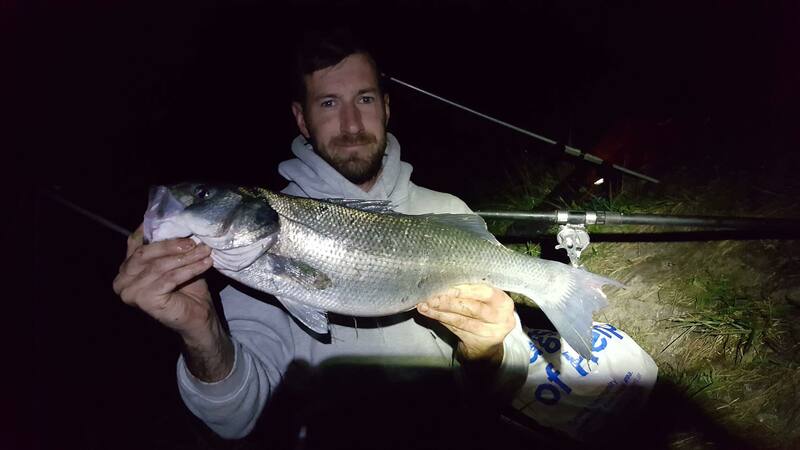 Obviously no interest, I knew really as I presented my patterns time & time again, then the small schoolie Bass move into the shallows, I hook 3 at once, causes a right mess and puts paid to the non feeding Mullet. Lets fix the leader and wait for the tide! The tide starts to flow along the beach the Mullet now start to get their heads down, turning into the current and things start to look promising, a couple of small plucks which I miss, are these mullet takes or more small Bass I ask myself, then it happens, I feel a pluck and instinctively lift the rod, everything goes tight & before I know it I’m down to the backing and I know Ive hooked a Mullet. 15 minutes later, this lovely bar of Ghost silver is on the sand beside me, it took my Glass bead head Diawl Bach with a red tag, many have said this is a good Mullet fly, I’m now convinced too. Just one on this occasion but the number of plucks & misses suggest I’ve cracked it, maybe I should quit while i’m ahead, as I’m sure every Mullet taken naturally on the fly will still be a challenge, but a huge thrill with unbelievable satisfaction! 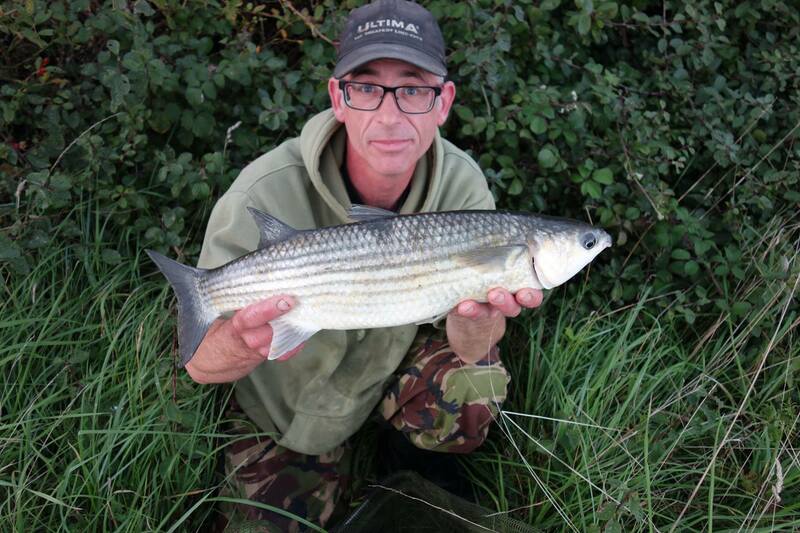 Ian Laird caught this thin lipped grey mullet in the Taw Estuary using a baited spinner. These hard fighting members of the mullet family can give great sport and can also prove frustrating as they follow the spinner to the bank turning away at the last minute. 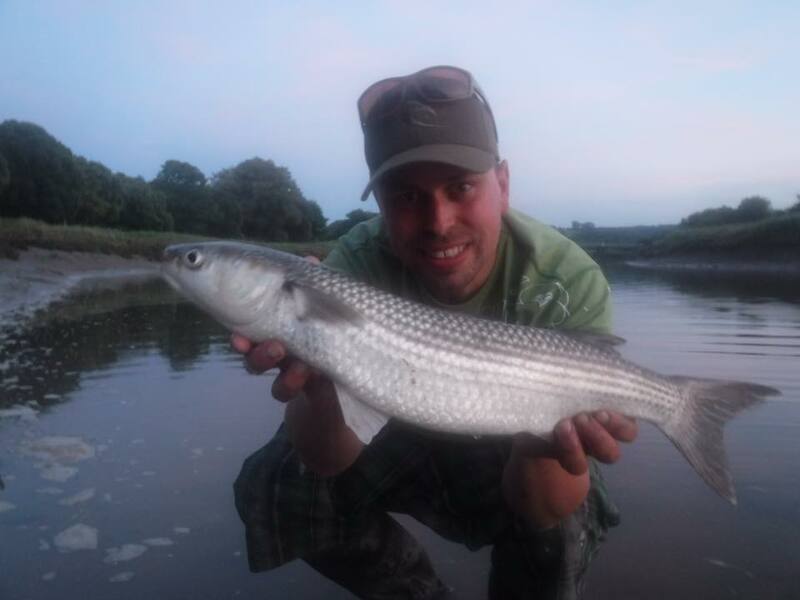 Thick lipped grey mullet are also present in the estuary’s in good numbers but require a totally different approach with bread the top boat presented on float or quiver tip tactics. In the past huge catches of thin lipped mullet were made using float fished harbour ragworm a tactic that is seldom used today.